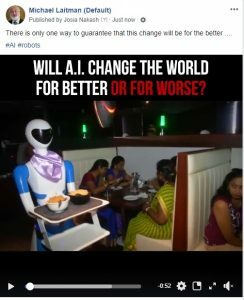 Will AI Make Our Lives Better or Worse? 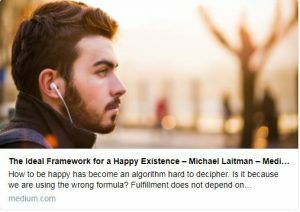 Kabbalist Dr. Michael Laitman explains what the one thing is that can guarantee a better future with AI. “I have eyes but I don’t see” the true perfect state. The Creator fills the whole world, everything exists in love and mutual complementation. To see this, one need not destroy anything, but criticize one’s own vision instead. I cannot see my own flaws yet. We don’t know what’s harmful until we reach the end of the path. This is why we must be patient toward all manifestations of society. Many things seem unacceptable because we’re not yet corrected. Upon reaching correction, we will see how these qualities compensate for the flaws. The friends are my soul. I demand of the Creator to make us one whole, above the differences that are being revealed. Love will cover all transgressions. If there is sufficient hatred and love to cover it, the Creator is revealed between them. The goal is reached through unity. The first phase in correction is love of friends, and above it the second phase is built: love of the Creator. After establishing himself in the spiritual world, a person transfers small portions of the King’s treasury from the old to a new state until he transfers it all. And although he does not see the fruit of his work, he tries to believe that he is working correctly. The old home state is within me and within each of us. I took great care of it and accumulated a lot of property there—this is all my property, all of me; it is what gives me a feeling of life, of confidence. It all belongs to me and no one is allowed to touch it! And suddenly, I decide that the most important thing for me is precisely what is outside my body, that is, other people, and I want to convey it to them. And then I begin to pull desires together with the fillings out of myself and pass them on to all the rest. I expect this to be my second state. In carrying out this work, I begin to understand that in fact only the attitude I created in myself now with the help of the upper power and acting for the sake of what is outside of me is the only correct form of behavior. 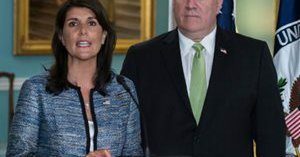 In the News (BBC): “Adolescence now lasts from the ages of 10 to 24, although it used to be thought to end at 19, scientists say. My Comment: I think we are faced with the phase of the inhibition of human development. Society has embraced an atmosphere in which people do not want to grow. They are comfortable without growing up; they want to remain as children. We are on the threshold of a new world. The former incentives no longer work: a professional career no longer entices us and robotics threatens to end many specializations. In the coming decades, educational institutions will head into the virtual space, production will be automated, and the delivery of goods and services will be transferred to a network platform. As a result, only a small number of people will be able to be engage in creative activities, developing something new. And what will happen with everyone else? Adolescence can be extended up to the age of 40. What’s the difference? When a person finds something one can be useful at, then a person matures. And if not, then one will remain in their teens at a minimum wage. Until recently, the age of active life lasted from the age of 15-20 years to 60-70. And now we have a long childhood and a long old age. This is natural. When egoism grows, it is very difficult to exit it, to start doing something and somehow working with it. It is much easier to be absorbed with yourself through a computer and a smartphone, spending hours in your small room, knowing that your mother will cook something for you. The way out of adolescence is a desire for accomplishment. But in the modern world, this desire is weakening. For many, virtual reality toys are enough. People do not have any reason to grow up even in a simple, material sense. On the other hand, they have time and the opportunity to understand that they are prisoners of their own egoism. 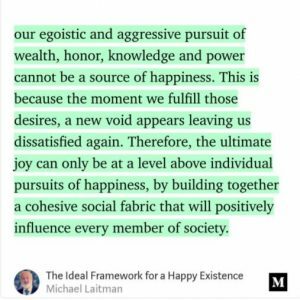 It distracts them from what’s most important—the opportunity to rise above the ego’s operating system, to take control into their own hands, and find their purpose. By discerning this, a person will finally come out of the kid’s room and find one’s purpose.